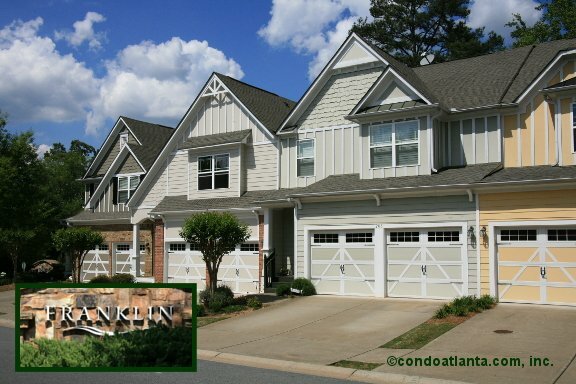 Franklin Park at River Green is a wonderful community of Craftsman-style townhomes with garage parking. Enjoy all the benefits of a home location in the Heart of Canton with easy access to Boling Park. Commuters will appreciate access to travel routes along I-575. Love living a scenic trek to Lake Allatoona, and the North Georgia Mountains. Community amenities include a swimming pool, and tennis courts for the enjoyment of Franklin Park homeowners.